We've always been a little scattered and disorganized in our morning God-space, obviously complicating the whole process and making it entirely too difficult to stay. on. task. This year, we have a plan! I'm sharing just a few tips and resources that I know will simplify our God-space and deepen our time with Him each day... read on to hear more, and stick around to the end, because I've got a little announcement to make! I'm one day in, so I can't say a whole lot about this devotional I'm reading this year... 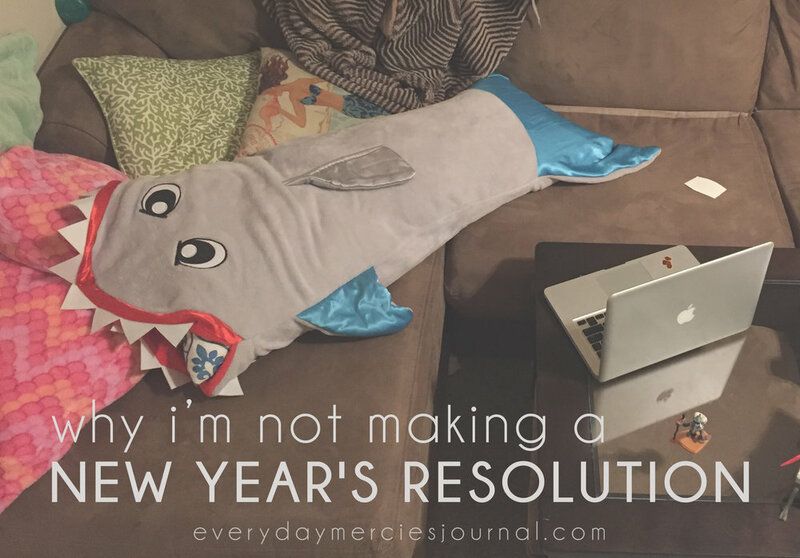 I can say that, historically, I have not been successful at staying on task with devotionals, and essentially gave up trying years ago... until Chris, Jane, Jessica, Isabel, and more, and more, and more friends just kept talking about this one. I stole Chris's copy and the inside cover did it for me... I'm in! Y'all, I'm determined to finish this, and I'm excited about it! Click the cover below to take a look! Devotionals and books about the Bible are AWESOME, but don't let those resources take priority over His actual Word: the Bible. I'm still reading through the Gospel of John, but another way I'll be digging into His word is through a solid, Gospel-centered children's Bible. Specifically, we'll be reading The Beginner's Gospel Story Bible. There is so much I love about this Bible. It's laid out in 52 stories that point straight to the Gospel, with a discussion question, and short explanation for each story. The stories are perfectly worded for young listeners, and SO adorably illustrated! AND since the scripture references are included, you can read the Word right along with your toddlers and preschoolers. We’ll be reading one story a week, and I am really looking forward to the learning that will happen throughout the days of each week as we repeat and dive into the same stories in the BIG Bible and this children’s Bible. Check it out! True... We don't have young readers... but we DO have two of these on our book shelf waiting for two young readers to fill their pages with notes and questions! What I love so much about this book is that it actually teaches kids from a very young age how to read the Bible, and takes them on an exploration from Genesis to Revelation. It's a simple guided tour through Scripture, with daily reading prompts, thought-provoking questions, and space for writing each day. And on Sunday, there's space for kids to take sermon notes! Which I think is awesome! Anyway... I'm excited for my kids to put this book to use in the future, but it's so good I had to go ahead and share with y'all now! Last but not least: Plan ahead and stay on task! 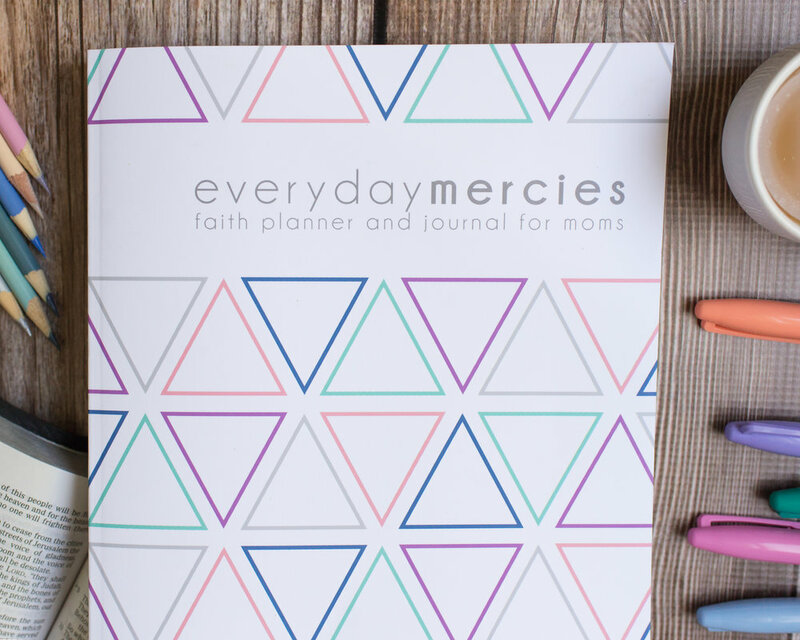 This is a faith planner and journal for moms that has everything you'll need to stay accountable and on task as you and your children focus your hearts on GROWTH this year! Much, much more to come, I just could not hold this in for one more second! This is a project I have prayed over, created, recreated, scrapped all-together and picked back up because I just believe in it SO much. It has been in the works for over a year now, and I am so excited to be so close to having this project in my hands and available to moms like me, who need a little help staying on task. I could go on for days, y'all. And I will, trust me... I am just SO thrilled to be sharing this with you now, and can't wait to show you bits and pieces of it as it comes more and more together! Just this little blurb for now, but don't worry, I'll be updating every step, and when it's finally available for preorder, we'll go ahead and have a BIG party! Thanks for hanging around y'all, and be sure to subscribe below to receive posts and updates via email!